Soundcloud: Something is happening over there and I don’t really know if it’s incompetence or just plan old dirty pool, but, for some reason, they are changing the links to people’s media files in their feeds. I had a podcaster who was using powerpress for her podcast and using soundcloud as a media host. All of a sudden, with no warning, her media file links all changed. That broke her podcast. We figured it out. I’m not sure, but it seems as though Soundcloud is trying to push everyone using them for hosting back to using the feed that soundcloud owns, not your own feed. 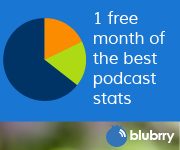 Yet another reason to use a PODCAST media host like Blubrry.com. NMX – Rick Calvert has been heard from. He sent an email to everyone that had a VIP ticket telling them that he just checked out for a while, and is now back. We still don’t know if NMX is coming back next year. I hope so, as it’s a great place to hang out with a bunch of podcasters in one place. Limit Login Attempts This simply limits the login attempts so that a brute force attack can not work on your login. Rename WP-Login.php This lets you change the login page to anything you want. NOTE: it says it’s not maintained but it works fine. For backup I do 2 things. I manually backup the folder where my wp install lives. I do this once a month or so. This saves the files and whatnot, but not the database. Not sure it’s needed, but from now on I’m doing it. WP-DB-Backup by Austin Matzko – This is a Plugin. I have this run once a week and email me a backup of the database to a gmail account. That way I have a recent database backup. this is in case I have to reinstall wordpress. Then I can copy my wp-content and everything back in and be back up and running quickly. Get your RSS feeds into the blubrry directory. 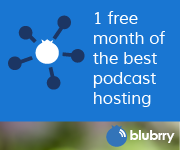 Especially if you host with blubrry.